This 19th century manor house is a delight on many levels. 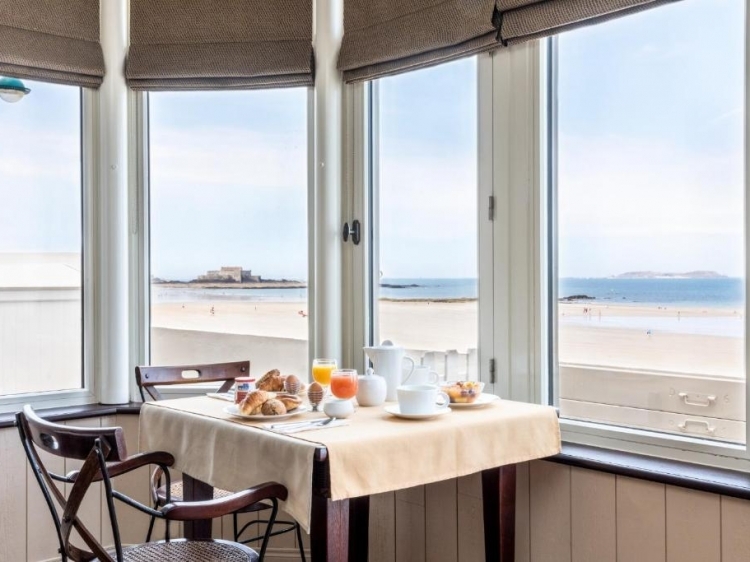 Historically, it was one of the first hotels to be built on the lovely St. Malo seaside broad walk. It has experience on its side, so to speak. Also, it is only an enjoyable 30 minute walk along the seafront to the old Walled Town, known as “Intra-Muros", its ramparts and cobbled streets. 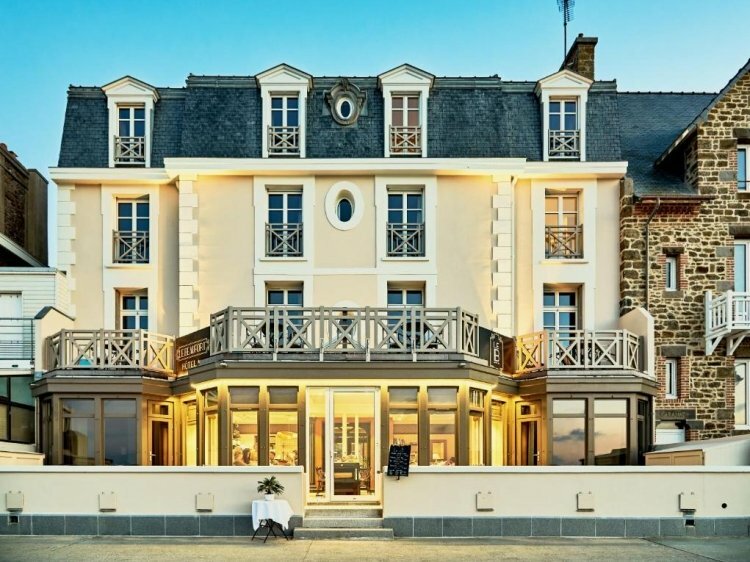 Getting back to the Hotel Beaufort, you can take a glass of wine in your hand, or whatever other drink takes your fancy, look out to the wild sea and enjoy the crashing of the waves. You can smell the saltiness! This might be one of the finest sea views in northern Europe. 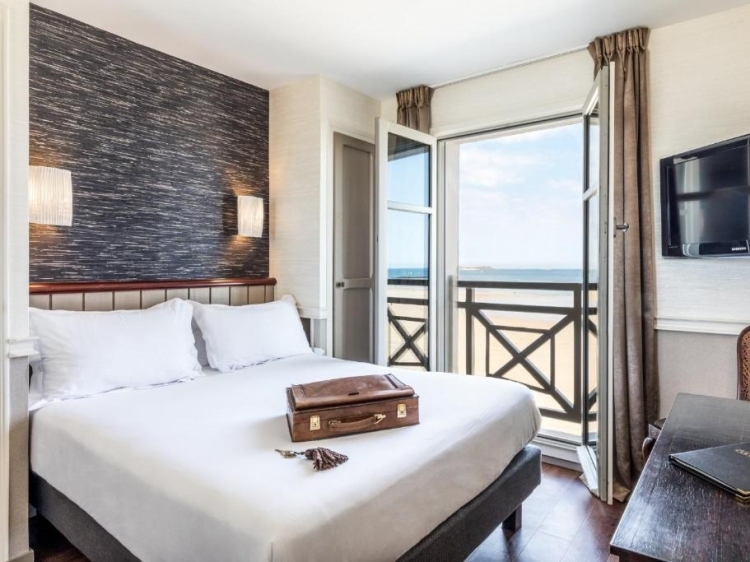 The majority of the Hotel Beaufort’s 22 rooms, which are simple but utterly comfortable and extremely clean, offer these wonderful views, which are a relaxation in itself. If you want to chill out even further, you can make the most of the nearby Thermes Marins a Thalassotherapy Sea Spa. 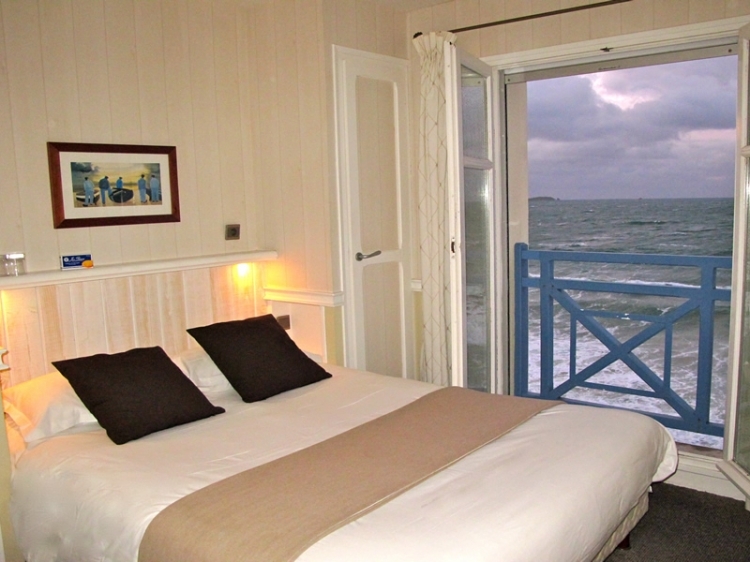 As you can tell, the Hotel Beaufort is intimately connected to the sea. 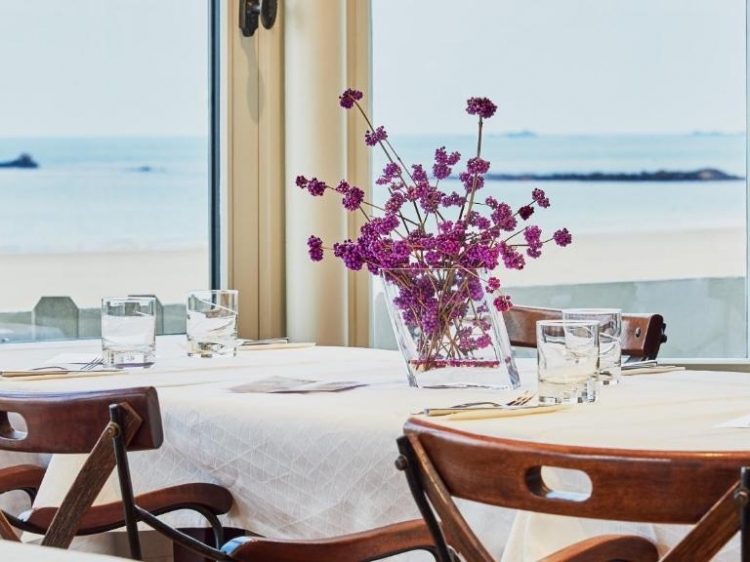 Being located in one of the most lovely towns and areas in northern France, is a bonus, which any type of guest, it doesn´t matter whether on business or pleasure, will surely appreciate. 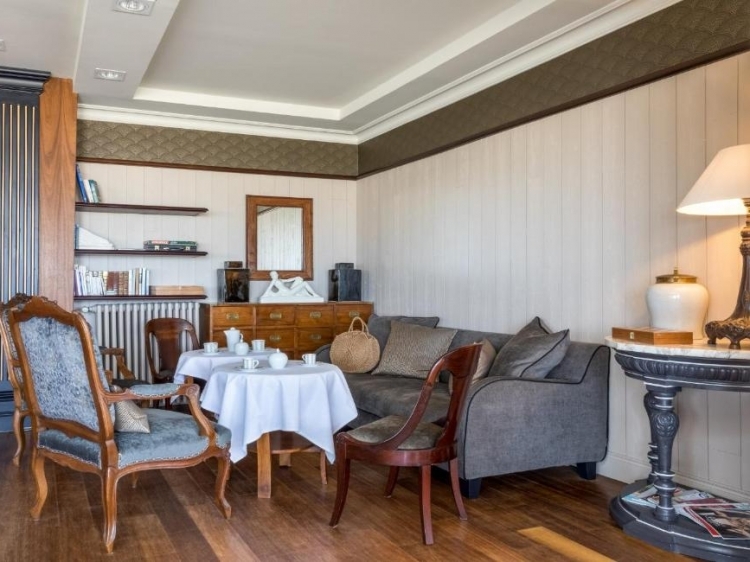 Wonderful hotel; great position, warm and friendly welcome and first class breakfast. Would definitely stay there again. 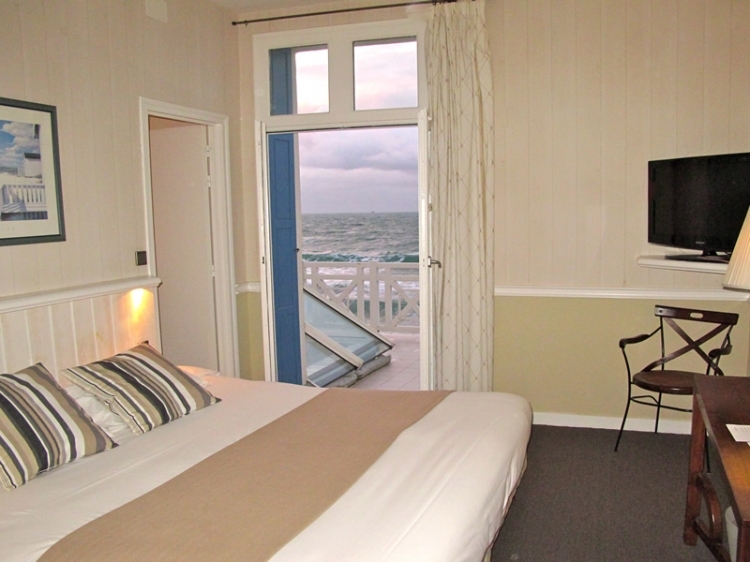 Fantastic location along the boardwalk, with sea view. Great breakfast. Nice staff, and good service. Room was clean, but a bit small. As such, all good, except perhaps a bit pricy in terms of value for money. Visitors should be aware that the Beaufort is a full 20 minute walk from the walled town and that there is no off-road parking at the hotel. Nonetheless, the establishment was efficiently run, right on the promenade and beach as advertised, with towels and loungers available. 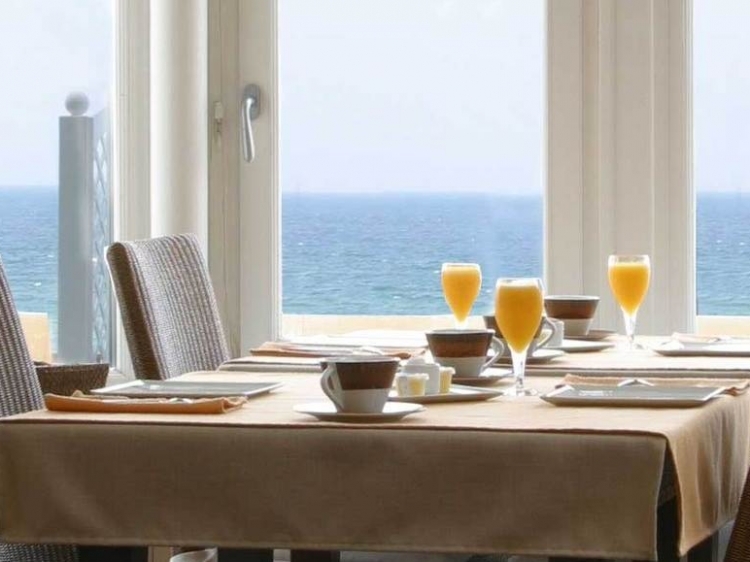 Breakfast was an excellent buffet, enjoyed in a light and spacious room with a panoramic sea view. 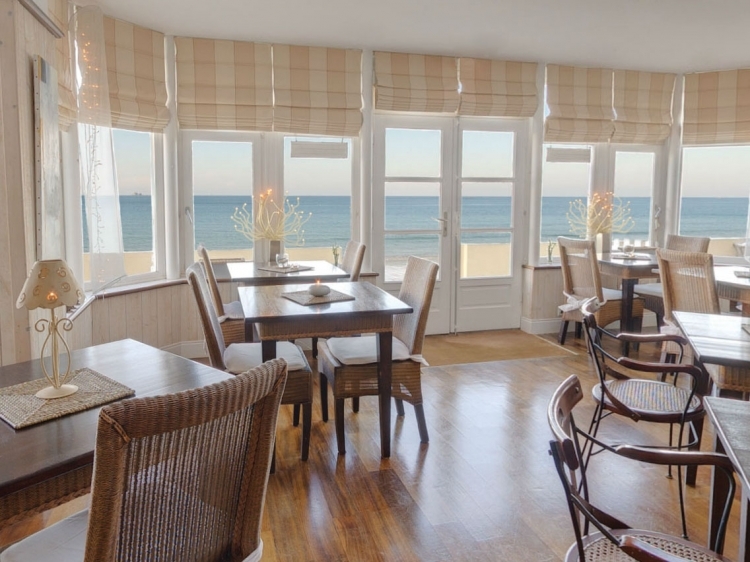 Whether this was because our stay was towards the end of the season, we cannot say, but the decoration and fittings were looking quite jaded, which is the only reason for not awarding the full five stars. Tranquilo, con vistas fantásticas, como en familia. Tiny rooms for the price! 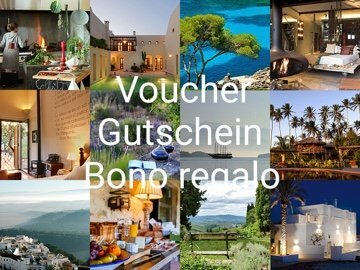 I was offered a 250 euros voucher and due to a busy schedule and the deadline i decided to offer it to my parents who took my grandma as well. I called and paid 80 euros extra so that they could get the ocean views and terraces rooms. From what i was told, the rooms were extremely small and so close to one another so they felt it was a bit of a rip off... Breakfast not even included for the price...i think thats pretty steep...sorry but to me thats quite unacceptable and will not book again. Otherwise, good location and clean.